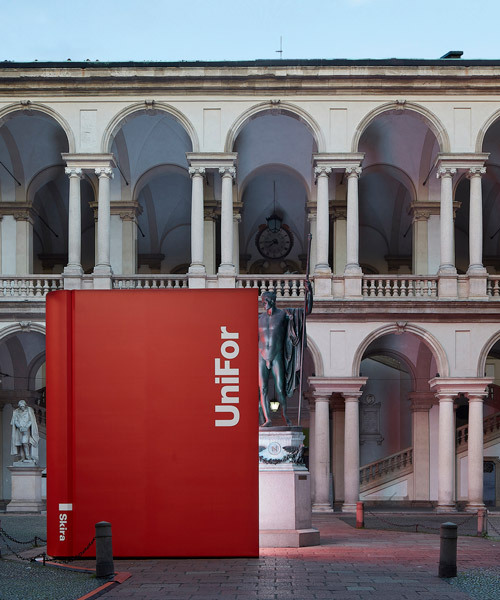 in celebration of their 50th anniversary and for the occasion of milan design week 2019, unifor unveils a multimedia installation curated by ron gilad at palazzo di brera. 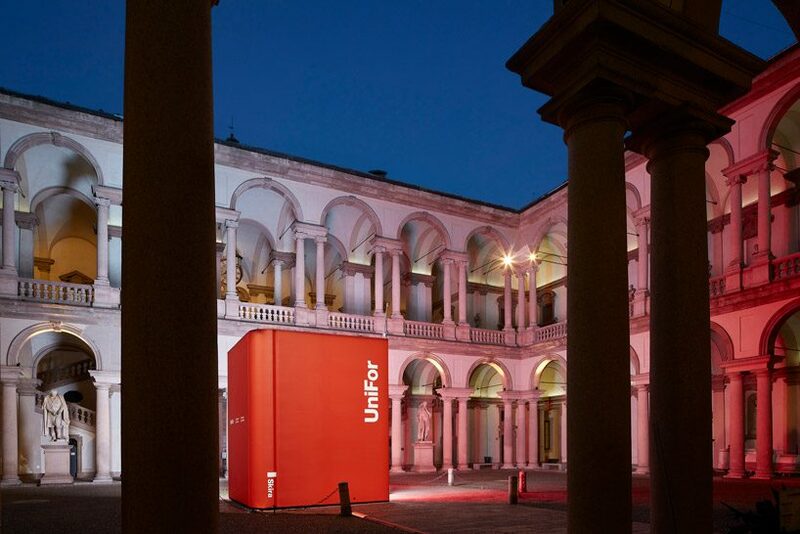 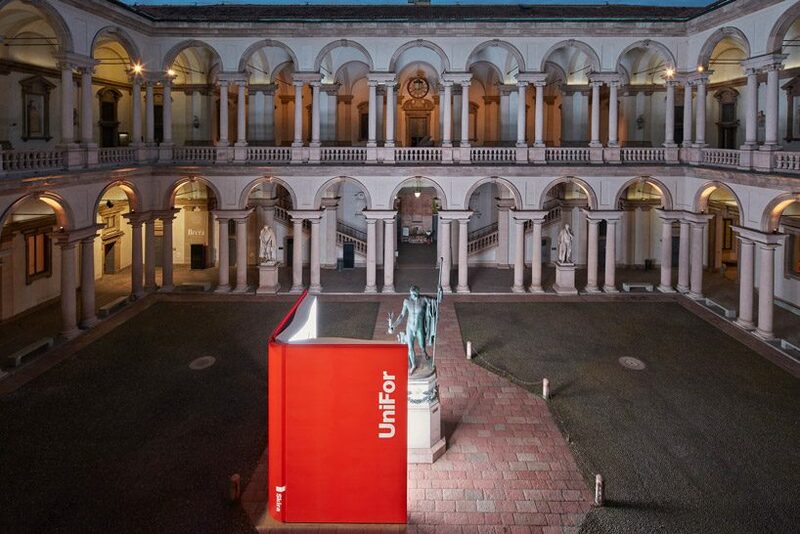 the work sees three different pieces on show in the cultural venue, which are designed to link unifor’s industrial culture with the educational values of one of italy’s oldest schools, the accademia di belle arti di brera and the art which is displayed inside. 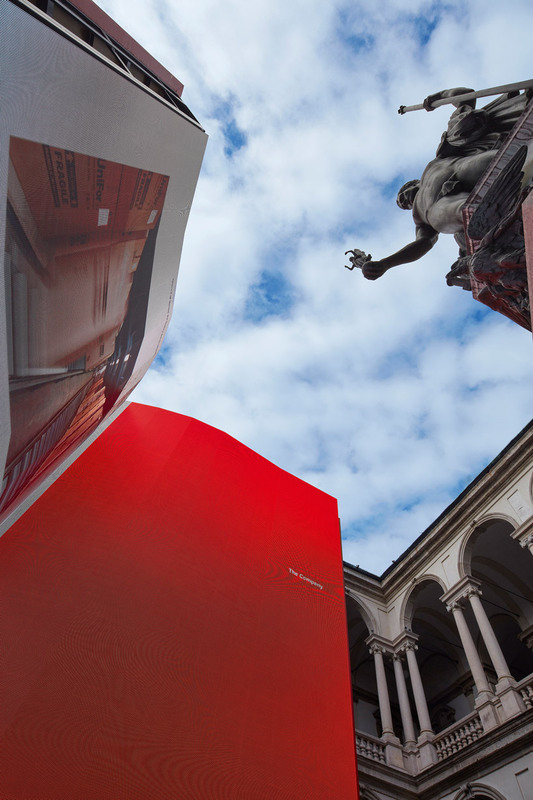 the out-of scale book is particularly striking and aims to represent knowledge. 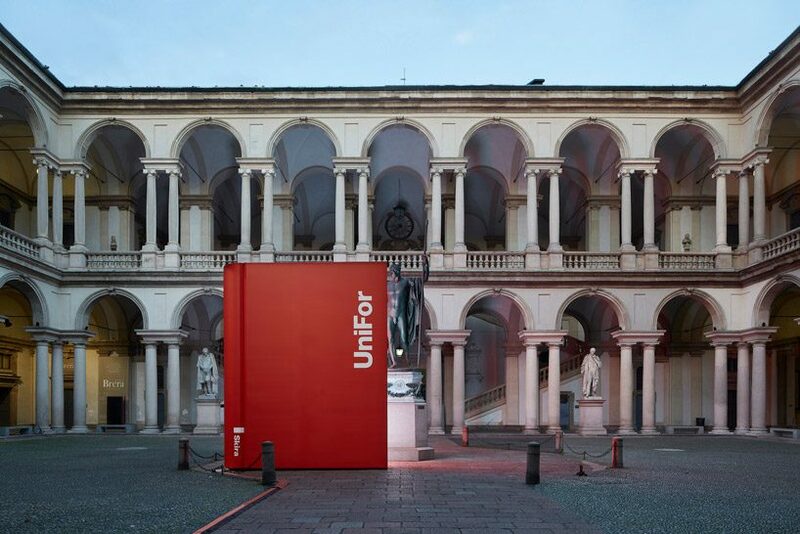 the piece interacts with the surrounding as the bronze statue of napoleon appears to be reading the open pages. 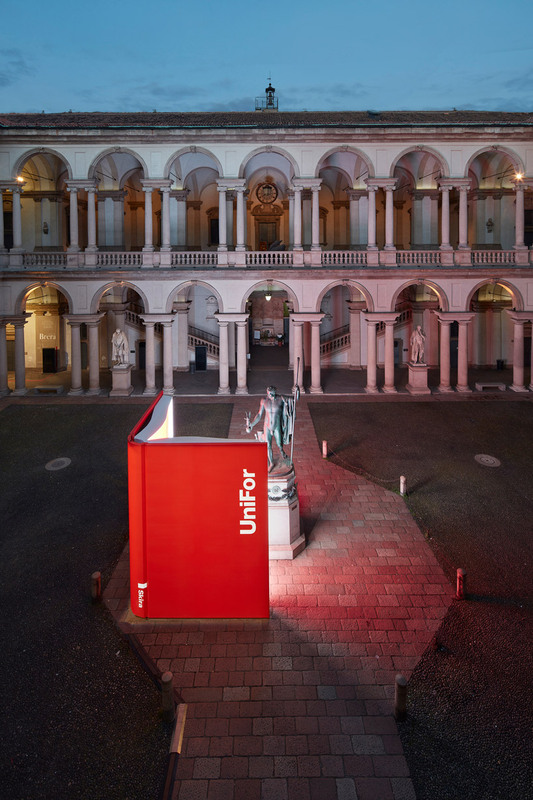 and on these pages, unifor’s 50 year history is proudly illustrated.